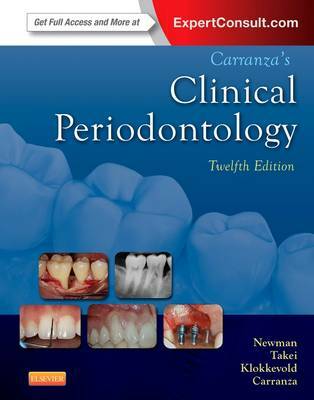 The most widely used periodontics text, Carranza's Clinical Periodontology provides both print and online access to basic procedures as well as the latest in advanced procedures and techniques in reconstructive, esthetic, and implant therapy. Not only does this book show how to do periodontal procedures, it describes how to best manage the outcomes and explains the evidence supporting each treatment. Written by leading experts Michael Newman, Henry Takei, Perry Klokkevold, and Fermin Carranza, along with a pool of international contributors, this edition also discusses the close connection between oral health and systemic disease. A new Expert Consult website includes the entire, fully searchable contents of the book, and takes learning to a whole new level with content updates, videos, a drug database, and much more. "This book is an excellent resource for clinicians of all levels - from dental students to periodontal specialists." Reviewed by British Dental Journal, Apr 2015 Endless resources on the Expert Consult companion website give you access to advanced material, including a periodontal pathology atlas, videos, animations, PowerPoint slides, case studies, flashcards, review questions and answers, and complete reference lists with links to MedLine abstracts. Over 3100 illustrations including 2550 in full-color depict the newest developments in basic science and surgical technology. NEW! Dual content designed to fit the needs of students, residents, and clinicians: Printed text content is perfect for dental education programs and students as it covers all the basic science and clinical topics covered in the National Board Exams in the United States. ebook and Expert Consult content includes all the information from the printed text, plus expanded presentations on many clinical topics including advanced procedures that are often referred for specialist treatment - a perfect resource for periodontal residents and practicing clinicians. Over 3,100 illustrations including 2,550 in full-color depict the newest developments in basic science and surgical technology. NEW! New chapter organization groups chapters into four logical parts: Biologic Basis of Periodontology, Clinical Periodontics, Oral Implantology, and Supplementary Topics. NEW! Two new co-editors and many new contributors have been added to the already diverse and respected author team that represents many of the US-based dental education programs, as well as programs outside of the US. NEW! Suggested readings in the printed text plus complete reference lists found in the expanded ebook.